Once the file is downloaded, execute it by double-clicking on it. If you downloaded the Mac version, you will also have to double-click the “TeamViewer QuickSupport.app” application. 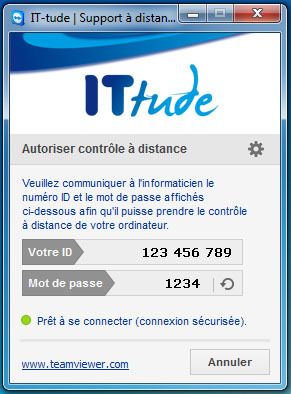 Give the ID and the password to our technician so that he can take remote control of your compter. 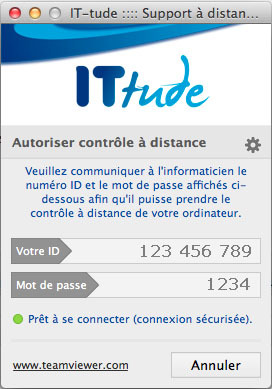 Once the support operation is completed, you can close the “IT-tude: Support à distance” application to definitely disconnect the technician from your machine.